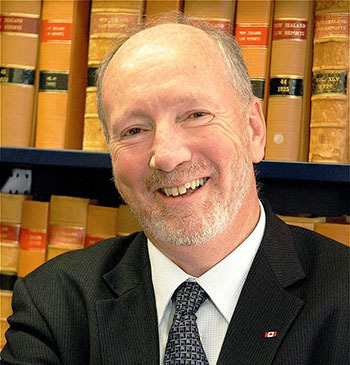 W. Brent Cotter, QC, is a former dean of the College of Law at the University of Saskatchewan. He obtained his bachelor of com­merce degree with honours in marketing in 1971. In 1974, he obtained his bachelor of laws degree from Dalhousie University in Halifax, Nova Scotia. In 1977, Brent received his Master of Laws degree from Dalhousie. From 1992 to 1997 Brent served as Deputy Minister of Justice and Deputy Attorney General for the Province of Saskatchewan. In July 1997, Brent was appointed Deputy Minister of Intergovernmental and Aboriginal Affairs, as well as Deputy Provincial Secretary. Brent is a current member of the Law Society of Saskatchewan and the Nova Scotia Barristers’ Society. In 2008, Brent was selected as the recipient of the CBA Saskatchewan Award for Distinguished Service. The Distinguished Service Award recognizes exceptional contributions and/or, achievements by members of the Canadian Bar Association, Saskatchewan Branch to: the legal profession in Saskatchewan; or jurisprudence in Saskatchewan or Canada; or the law or development of the law in Saskatchewan; or the benefit of residents of Saskatchewan in a law-related area.